Cyclone Idai has devastated Mozambique, Zimbabwe and Malawi. 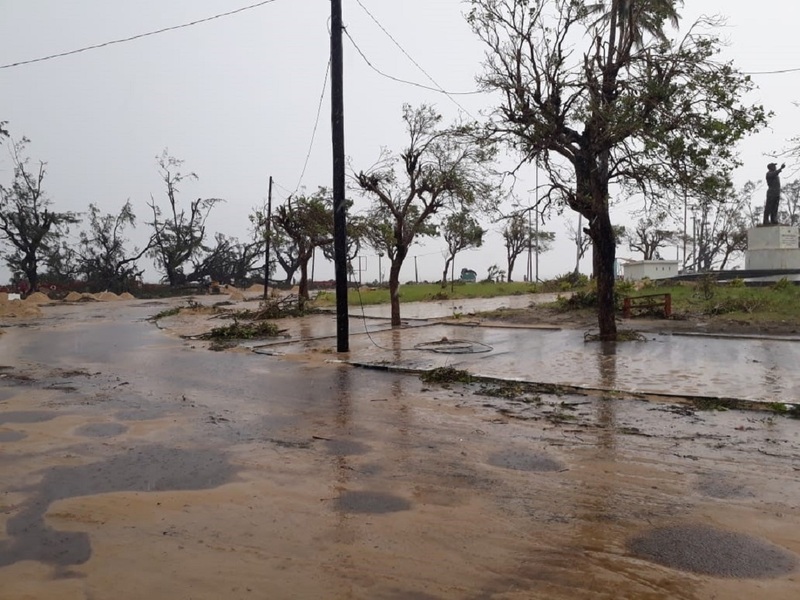 The cyclone hit Mozambiqueâ€™s second-largest port city of Beira on March 14 before it had its landfall. The death count has been steadily rising as evacuations efforts have taken place. Al Jazeera has reported than more than 2.6 million have been affected by this disaster with the death toll over 1000. Unfortunately, coverage on the disaster has been lacking, especially from South African media. The International Federation of Red Cross and Red Crescent Societiesâ€™ Jame LeSuera said: â€œThis is the worst humanitarian crisis in Mozambique’s recent history.” Rescue teams and aid groups have struggled to reach survivors and victims trapped in remote villages. The extensive damage to infrastructure has reportedly severely hindered efforts. The European Union (EU) announced a $3.97 million aid package to the affected countries with the South African government lobbying with the United Nations for more aid. There have been reports about how the cyclone exposed the poor disaster management in Zimbabwe. Times Live reported that in Zimbabwe – the least affected by the disaster – there were no proper mitigation strategies in place to reduce the impacts of the disaster. In Mozambique however, there has been no mention about any possible man-made causes of the disaster. This might be partly because of the governmentâ€™s strict press laws. In 2018, the government introduced new fees for foreign journalists. Taking effect from August 22 the laws would expect foreign correspondents to pay $2,500 per trip for media accreditation. Foreign correspondents living in Mozambique would be charged $8,300 per year. Up until that point registration for foreign correspondents to Mozambique was free. At the time concern was expressed that this might mean fewer journalists would be able to cover stories in the country – and only big media houses who could afford it would be able to go. Many journalists have died in recent years in Mozambique, in the course of doing work that is critical to the government, or ruling party Frelimo. Journalists or investigators who have died in recent years including investigative reporter Carlos Cardoso, and Paulo Machava, according to reporting in the Mail & Guardian. The government also uses the threat of legal action to suppress critical reporting. Bird says there is limited communications in the worst affected areas which affects the coverage especially if there is controlled access to certain areas by the government. â€œSay if they (the journalists) are there with Gift of the Givers you can imagine they might have better access that they otherwise wouldnâ€™t. But we donâ€™t know what the Mozambican government said to Gift of the Givers. They might have said you are not allowed to bring in anyone here in case.â€ Bird said. Bird says considering that the affected countries are neighbouring South Africa, the coverage should be a lot more nuanced and South African media should have a better idea about what is going on in the country than is currently shown. There have been many appeals for help from citizens for the disaster. UNICEF called for $ 20.3 million to support the response in the three affected countries. More information on UNICEFâ€™s relief efforts can be found here www.unicef.org. International Relations and Cooperation Minister Lindiwe Sisulu released an appeal to South African NGOs, companies and individuals to make donations to the people affected by the cyclone. The Minister said on March 17: “We have this afternoon received reports from our Missions and our teams on the ground working with authorities, what is urgent now is the provision of humanitarian aidâ€.